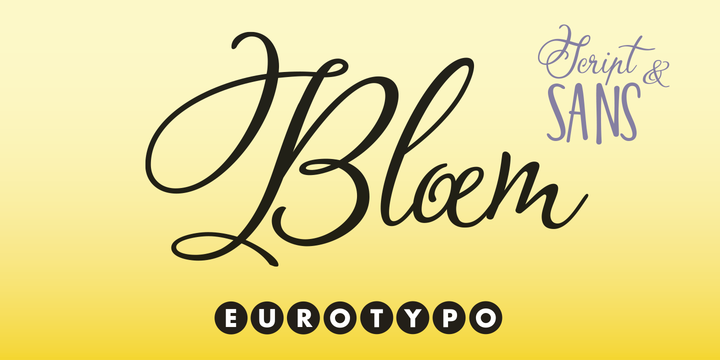 Bloem is a friendly hand-lettering font family created by Carine de Wandeleer and published by Eurotypo. Available in two styles (Regular & Sans), a wide range of OpenType Features, more than 700 glyphs and multilingual support, Bloem works great on typographic projects. You can mix Sans form with Script and create beautiful, original things. Go cursive using Bloem font! A font description published on Wednesday, July 13th, 2016 in Carine de Wandeleer, Eurotypo, Fonts by Alexandra that has 3,027 views.